Lyndsay Johnson: 'Tis the Season! I couldn't resist. I HAD to post our Christmas photo, stat. This was the best we could get out of them. No joke. But not to worry! We have a clever solution for Christmas cards, thanks to Minted. I'll post later this month with the final design. How did your photos turn out? Leave me a link in this post to share your family pics for the holidays! Oh man! 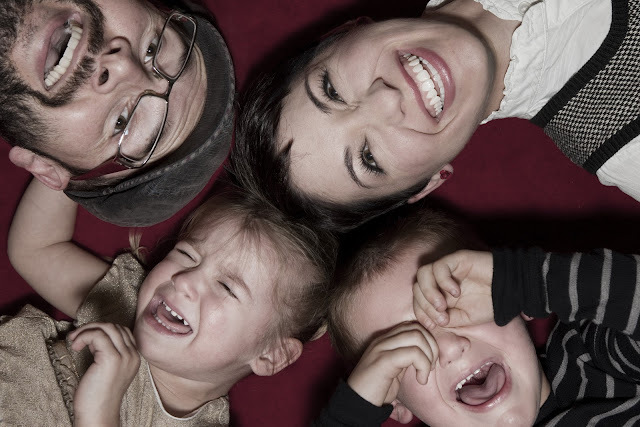 Family photos can be painful, can't they? I'm sure your cards are going to be darling, they always are. xo. That's great. We haven't done ours yet but I would imagine there might be something similar..
LOVE this photo. So hilarious. You guys will laugh so hard every time you see it. Especially when they are teenagers.